Finally made it up to Winnie - - - 10 messages. Showing 1 through 10. What a great trip! That lake is great. We got plenty of Walleye to eat and plenty in the slot to throw back. The Pike were going crazy too. The Pike are now in the process of being pickled....yum. Been fishing the metro lakes mostly and Rush. Rush has been on fire again this year. The Walleye were pretty hot a few weeks ago but haven't got a lot lately. Perch are real nice this year and have been very aggresive lately. Crappies are present in insane numbers. Not a lot of big ones though. 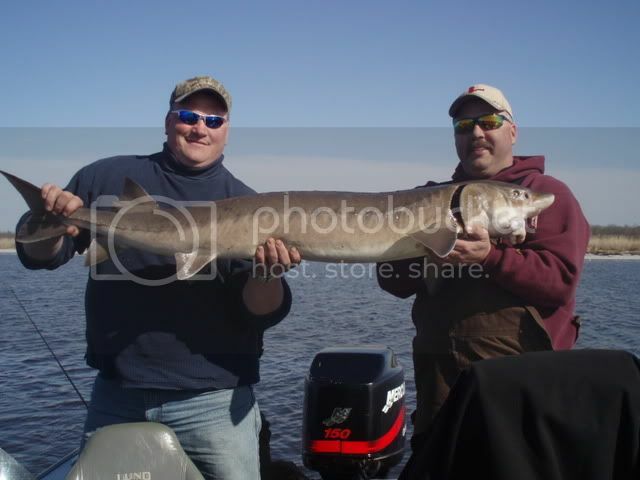 *Who was it that went Sturgeon fishing on Rainy River last spring and went through crates of cralwers? I'd like to make the trip this spring and pick your brain a little too. I cant think of the guys name but if you would anser the email once and awhile we could talk. Man do I look good with that fish! Was there plowed roads up on winnie? Is there rentals on the ice? I'd like to go there instead of the usual trip to red. SB... I gotta add that one, okay? Haha, so that was you Sandburr. "I'm not a very smart man"--Forrest Gump. I will check my email and shoot you a reply. It might already be there Dude? Its all a memory now! If anyone else is thinking about giving it a shot drop me an email for details. Dan--I did a Google search and I found two resorts (The Pines and McArdles) that say on their website they have plowed roads. They did not say what they charged, etc. to use them but there is info out there. Dan, there are plenty of plowed roads. The snow is real deep and you are pretty much stuck to the roads--even with four wheel drive. Snowmobiles are about the only mobile thing on the lake, unless you have a plow on your truck. I would suggest talking with Highbanks on the lake. They have sleeper houses for rent. A guy named Dave also rents sleeper houses through Highbanks(I can give you his # if you want it). They are the only two places I am aware of that have sleeper houses. The other resorts rent you a cabin on shore and a fish house on the lake--which means you have to come off the lake at night to sleep. I much prefer staying on the lake. Let me know if you need any info. I know the sleeper houses do get booked early.